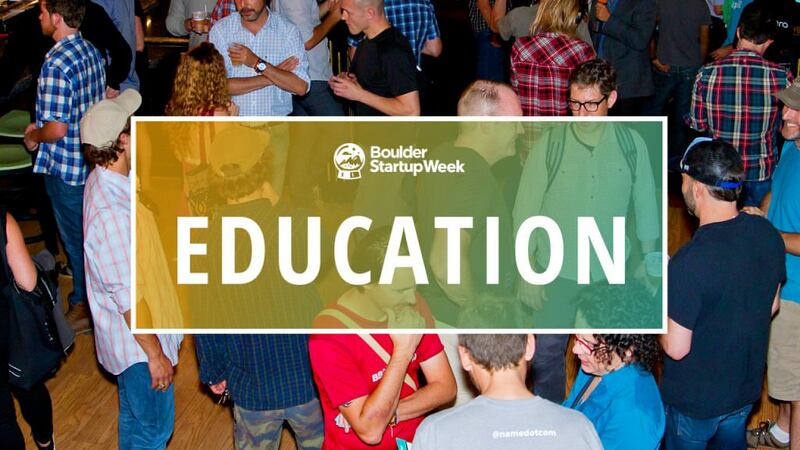 The Education track is back for it’s 2nd year with Boulder Startup Week! Join us in exploring “The Future of Learning” alongside Edtech founders, Boulder Valley School District leaders, and National Teachers of the Year. The track is led by Founder of Crafted Education, Katy Kappler, and edGarage Founder and VC at Edovate Capital, Graham Forman, and Learning Specialist with Noodle Partners, Tara Gilboa. They are also part of the larger Boulder-Denver team collaborating to organize SWEDU 2018 as well as other learning experiences throughout the year (Education Innovation, Edtech, Learning Experience Design.) The three are dedicated to bridging the education and edtech startup communities in Colorado and aspire to fill this year’s track with a diverse group of panelists and events. Newcomer? Edtech Skeptic? Seasoned VC? Curious learner? Whatever your background you’ll find the events accessible to your curiosity and covering a myriad of topics. Engage with panelists as they debunk common misconceptions about investing in edtech, describe the future possibilities of learning with AR/VR, and debate the role of data in our education systems. What will the future of learning look like?